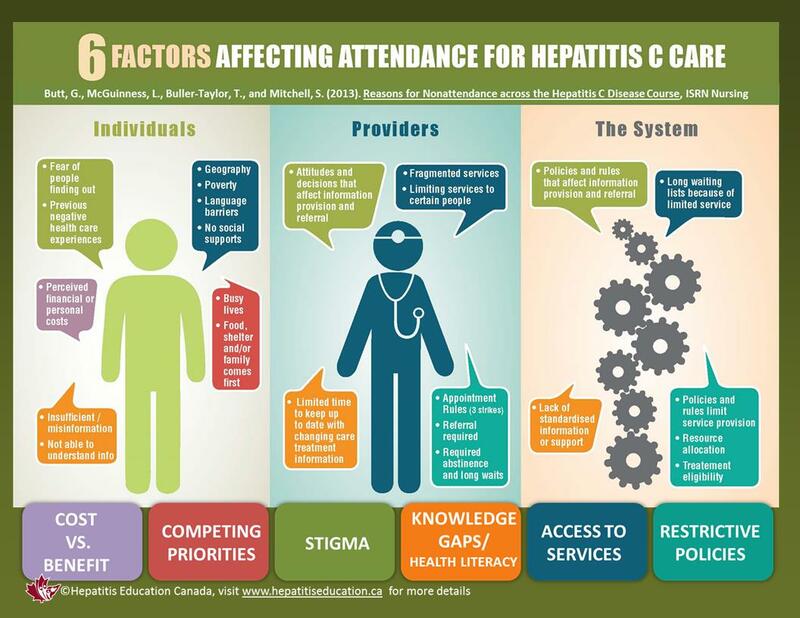 People living with hepatitis C (HCV) frequently report experiences of stigma in health care settings. Stigma increases the burden of the disease as it can lead to a lack of testing, treatment and primary care. It is one of six main factors that contribute to people not getting the hepatitis C care they need. Stigma occurs when a person is negatively judged and devalued because of their HCV status. This includes self-judgment or media portrayals of HCV and can result in discrimination towards people living with the illness hepatitis C.
Hepatitis C is stigmatized for being a contagious disease and for its association with illegal drug use. Fears about transmission are fueled by inaccurate knowledge about HCV and moral judgements about drug use. Discrimination occurs when someone is treated differently or negatively because of their HCV status. Examples of discrimination include: avoidance of a person with HCV, inappropriate precautions against infection and breaches of confidentiality. + What can a health care provider do to prevent stigma? What can a health care provider do to prevent stigma? Stigma is one of 6 factors that can make it hard for people to get the hepatitis C care they need. Click image for more information.